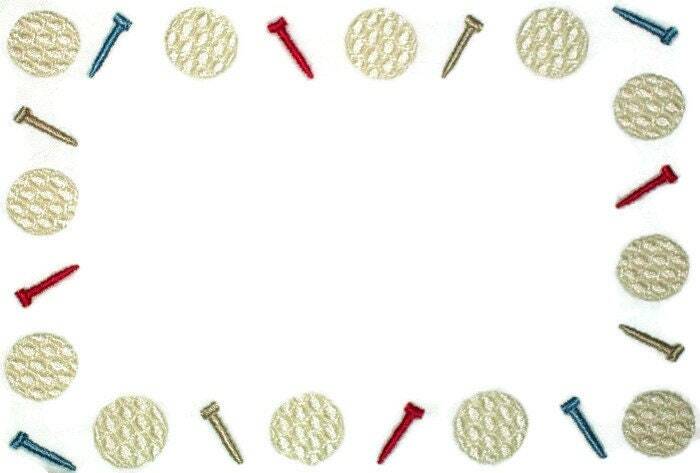 Golf ball & tees frame embroidered quilt label. Great for the golfer in your life. Measures 17cm x 11.5cm (6.75" x 4.5").